The city of New Orleans, also lovingly referred to as the Big Easy, symbolizes different things for different people. Music lovers come for the smooth jazz. Food connoisseurs revel in the old style southern cooking that exudes Cajun flavorings. Lovers of stately homes and beautiful buildings wallow in the architecture that is in many cases reminiscent of the 18th century. 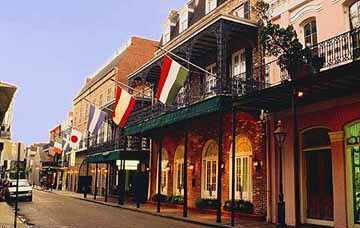 And of course everyone loves the infamous French Quarter where architecture, food and great music are abundant. 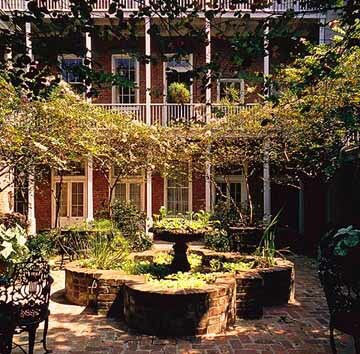 The Place d�Armes Hotel is nestled away in the heart of historic Jackson Square. This is the only hotel to grace the square and New Orleans� mainstays such as the Mississippi River and Caf� du Monde are literally outside of the front door. Horse drawn carriages wait patiently outside to take tourists on a stroll around the Quarter. There is hardly a more romantic way to see New Orleans than in the evening when the sun is setting, via carriage with the one you love. So for those who wish to immerse themselves in everything that is New Orleans while wallowing in the lap of luxury, the Place d�Armes Hotel is the place for you. The Place d�Armes Hotel boasts 83 beautifully appointed guest rooms that are located in nine separate 18th century buildings that have been restored in a fashion that exudes Old World charm. Guests may choose between accommodations that feature one king size bed, one queen size bed or two double beds, depending on the number of guests that need to be accommodated. Spacious one bedroom suites with a separate living area are also available. 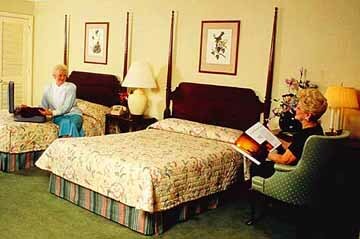 Many of the guest rooms are also furnished with a sofa bed that easily sleeps two people. The rooms are tastefully decorated with period pieces that reflect the New Orleans� feel. The amenities provided at the Place d�Armes Hotel easily match those offered at larger more corporate type properties. Each guest room has its own remote controlled color cable television. Other in-room amenities include radio alarm clock, data port, hair dryer, iron, ironing board, writing desk and air conditioning. Some accommodations feature private balconies that are an ideal spot for watching the comings and goings of bustling Jackson Square. Handicap accessible rooms are available upon request as are baby cribs and children ages 12 years and younger stay at the Place d�Armes free of charge. Check-in is at 4:00 pm and guests must check-out of the hotel on the day of departure by noon. The Place d�Armes Hotel, the only hotel in Jackson Square, has been the recipient of the 3-Diamond AAA Rating and with good reason. The guest services offered at the hotel are as luxurious and relaxing as the accommodations and amenities. The high-standard that the courteous staff has set for themselves when it comes to making guests as comfortable as possible has earned the Place d�Armes many repeat customers. Each morning guests are treated to a tasty complimentary continental breakfast. Guests can indulge in piping hot coffees and delicious baked goods either in the privacy of their own room or in the gorgeous courtyard. The front desk is manned 24 hours a day to ensure that guests need not go in search of someone when assistance is needed. The concierge will be more than pleased to arrange sightseeing tours or recommend a unique and delicious dining establishment in a city that is exploding with them. Other guest services include valet parking, housekeeping, room service, copy services, luggage storage, safety deposit boxes for valuables, laundry, dry cleaning, porters, tourist information and fax service. The Place d�Armes Hotel also has its own swimming pool. Sunbums can work on their tan surrounded by vibrant foliage and breathtakingly beautiful flowers. 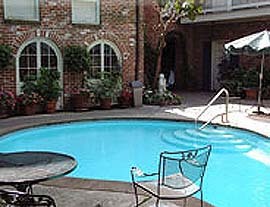 The Place D�Armes Hotel is located a block away from Bourbon Street at 625 St. Ann Street in Jackson Square. The historic hotel is only minutes away from fine dining, shopping and entertainment.